This protective and warm boot will be a classic for years to come. Easy to pull on for cold, wet, ice or snow, this stylish mid-height boot will keep you warm and comfortable even in harsh conditions. The same comfortable, high performance boot with our exclusive XpressCool™ lining and two height options. 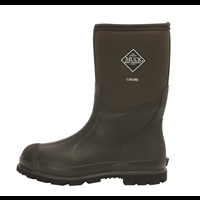 Muck Arctic Outpost Series Tall Rubber Men's Winter Boots combine a stylish look with superior comfort and protection. The Arctic Pro allows the hunter to focus on what's important, the hunt, not your feet. 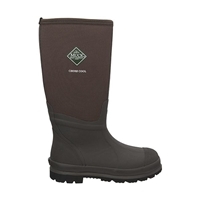 It is our warmest Muck Boot, designed to keep your feet warm when it gets down to -60 degrees outside.